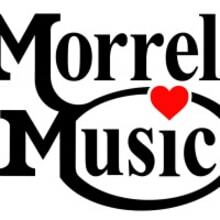 Morrell Music Co. was founded in 1960 by Joe Morrell in Bristol TN. Since then, we have conducted business as a distributor of instruments, equipment, and accessories as well as a manufacturer of the USA made Morrell Lap Steel Guitars! We conduct business in our retail store in Bristol, providing local and regional players with new and used instruments and accessories. We also manage and maintain two e-commerce websites: morrellmusic.com and morrelllapsteel.com. we strive to make every transaction perfect and we appreciate your business!